great stuff! 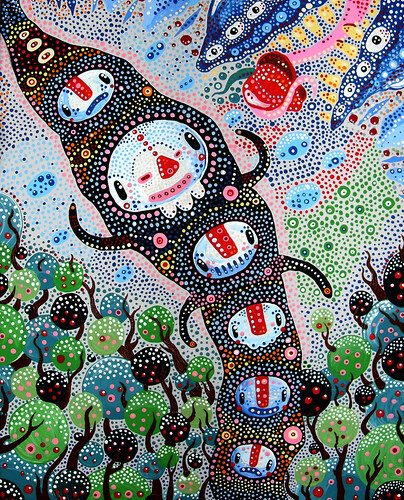 reminds me of traditional aboriginal art - are you thinking about making prints or selling originals? this is really good work!! Wonderful! Have you heard about a Swedish artist called Isaac Grünewald. This painting remindes me of his "Singing tree" Do you have paintings for sale?